Get a peek inside the classroom with Tyrone, Alana and Andrew – all Proloquo2Go AAC users – and see how they are learning to advance their communication skills. 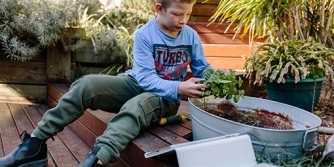 “Providing an educational environment that entices conversation is imperative for language development for any child, especially those children using AAC solutions as their voice in the classroom,” said Jane Farrall, Consulting Speech Pathologist. 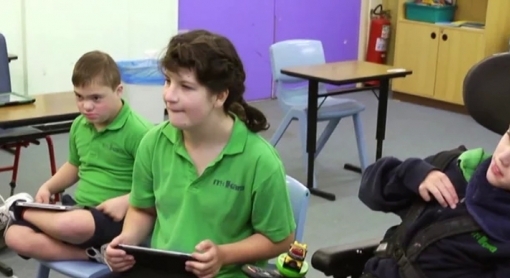 Watch the video for a peek inside the classroom with Tyrone, Alana and Andrew – all Proloquo2Go AAC users – observing the Malkara School students with their teacher as they are learning to advance their communication skills. 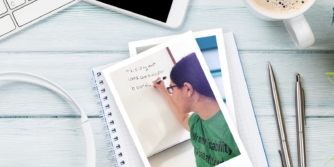 Listen as Jane discusses the importance of providing a motivating curriculum and use of engaging teaching strategies to give AAC users something to talk about. Enjoy the children as they talk with each other, share experiences, interact with their teacher and learn. Jane Farrall is an Australian speech pathologist and special educator with extensive practical experience in both AAC and in teaching individuals with disabilities to acquire literacy.